Find good collection of car images and auto gallery. 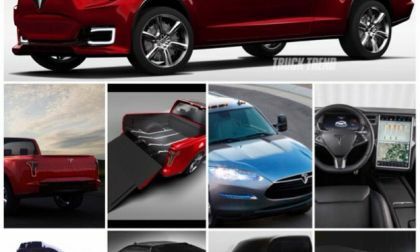 ANALYSIS AND OPINION: It hasn’t been a week since the Tesla Y unveil at the Design Studio and the Tesla Fan Base and media alike are now speculating what the already iconic pickup truck will shape out to be. 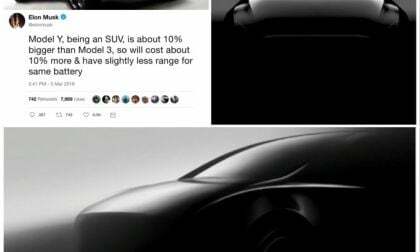 So over Model Y and it’s ho hum, the excitement energy is already now building for Model U. Read more about Done With Model Y, Tesla Fans Move on to the Pickup Truck: What Will it Be Like? 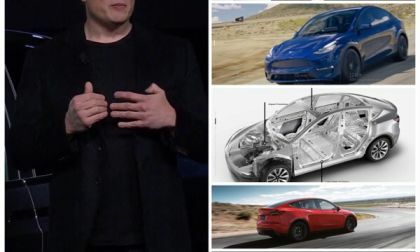 ANALYSIS AND OPINION: The Eve of the Ides of March like the Model Y unveil at the Tesla Design Studio came like the new car itself and went like any other event without much fanfare. Both are no frills or gimmicks, the most practical you can get in a car and an event, neither didn’t take much money to make, and in the car’s case it has the potential to outsell it’s siblings combined. 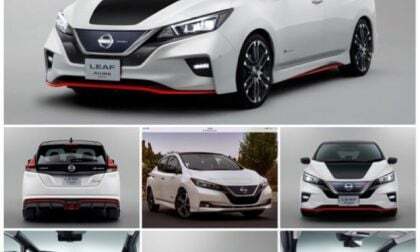 ANALYSIS AND OPINION: I continue the miniseries of stories of “Life after Leaf” in this beginning of the post-hybrid age when we are now getting over PHEVs and short range BEVs like Nissan Leaf, and taking a more serious look at new BEVs now that they’re more car and charging choices, better battery ranges, and cheaper prices. One option coming soon is a BEV CUV that’ll compete with the Hyundai/Kia SUV electrics. Here’s the unveiling of the smaller Model Y. ANALYSIS AND OPINION: This is an ongoing mini-series of reports themed “life after Leaf,” where I take a look at what happens when you turn in the keys of a firsthand used BEV like Nissan Leaf after a brand new lease or purchase, to wonder what happens to the car thereafter. There’s such a plentiful amount of them that many will not see a long life, but in this report we take a look at why it makes sense to still buy a cheap used all electric car. I start another mini-series of stories, this time “Life After Leaf,” of several things that can happen when you trade in your Nissan Leaf car, if not the tiny battery from a PHEV or from a smaller ranged BEV, to be repurposed or recycled into something else. 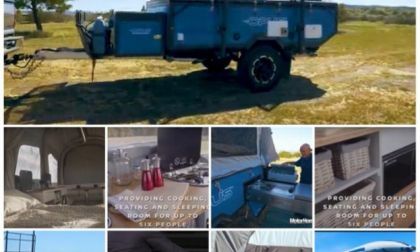 In my quest to find electric campers for my social media base, I find this great caravan that uses juice from old Leaf batteries. 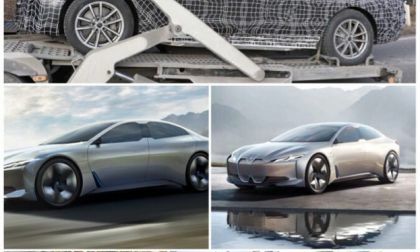 Sometime next year BMW will be introducing their first real non-compliant full production all electric car. It won’t look as funky as i3 does. It’ll actually look like a real normal car. And it’ll be based off the 4 series. So with my BMW in the shop AGAIN, and the dealer giving me a 430 coupe as a loaner, I decided to take this opportunity to give you a dynamic of what to expect from a 4 series electric by looking at the gas one and my car, a 3 Series, first. The Car Lab Mad Doc Looks to Sign a Pact With Besos and Bloody Mary: Is the GM Buy-In to Rivian the Coming of the American Rolls Royce? Or Just Another GM Saab Story? ANALYSIS AND OPINION: I hope this is about as mad as the mad doctor can be, signing a pact with the almost-devil of the car industry right before industrial birth of start up production. I guess he’ll be the industrial obstetrician. I hope the car baby ain’t no Rosemary’s. Dr. Scaringe is looking to make a deal with a devil who has more money than God. Jeff Besos of Amazon is in with this. What a strange three way this could be. I cringe: gee Doctor: will it be good for you too? 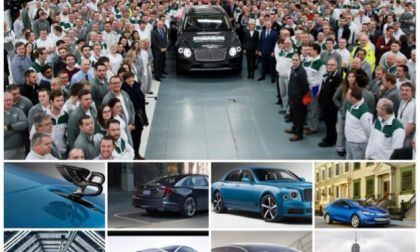 Read more about The Car Lab Mad Doc Looks to Sign a Pact With Besos and Bloody Mary: Is the GM Buy-In to Rivian the Coming of the American Rolls Royce? Or Just Another GM Saab Story? 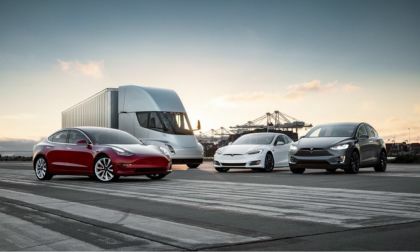 By selling the entire model range in three categories, Tesla Corporation makes each car more cheaply, and simplifies discerning which car is which. If you want “Ludicrous,” which now comes in a separate upgrade package at a $20,000 premium, no more looking at old school Bentley-like badges to see battery energy capacity, you just look for “Performance.” This also helps with pricing and sales: by having cheaper Base Models S and X, Tesla is getting ready to sell Base Model 3. The Cadillac XT6-Gate Debate: Luxury Car Brands: Are They Even Needed Anymore In the Age of Car Sharing, RoboTaxis, and Autonomy? 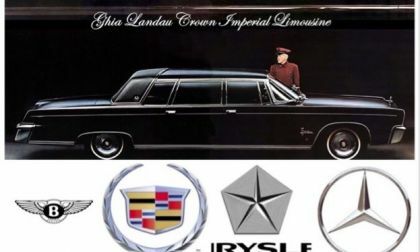 ANALYSIS AND OPINION: It’s not looking too good in the public relations arena for Cadillac and GM when the national, now world conversation nows turns toward questioning the existence of luxury car brands after the Cadillac XT6-Gate GM Debacle. Aston Martin’s CEO weighed in with the XT6-Gate to establish six ultra brands, and none of the ones below it like Cadillac will surpass them. But let’s be clear: XT6-Gate is an American problem, not a European one. 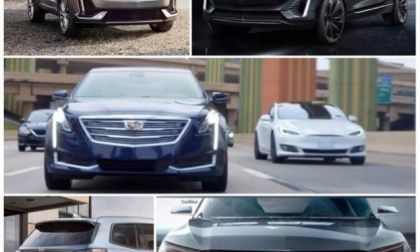 Read more about The Cadillac XT6-Gate Debate: Luxury Car Brands: Are They Even Needed Anymore In the Age of Car Sharing, RoboTaxis, and Autonomy? 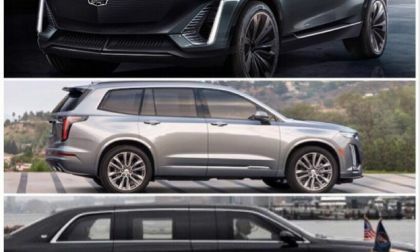 ANALYSIS AND OPINION: While GM didn’t strike an iceberg like Titanic with the recent Cadillac XT6-Gate Roll Out, XT6’s Super Cruise “Radio Delete” from the options list Gaffe, and Caddy’s the ”Lead Brand” Announcement Kerfuffle with no Caddy BEV for three years, it certainly ran into the reefs too quickly like the Costa Concordia. Although it isn’t a massive blockbusting disaster, it is a serious debacle that needs some changes. And they better do it soon. 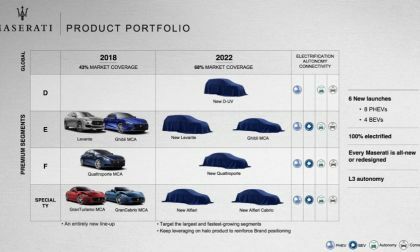 ANALYSIS AND OPINION: GM President Mark Reuss’ recent announcement of putting Cadillac as the lead brand against Tesla helped everything else but Cadillac. Cadillac just put their third gas CUV into their portfolio right after this announcement! A real all electric car company doesn’t do that! To be taken seriously by anyone you have to be reliable and believable, and that means having honesty, and to be honest, starting with yourself, you have to believe in yourself. Who’s fooling who? ANALYSIS AND OPINION: Until recently no one in the car industry ever had an experience of what it was like to end production of a car product due to obsolescence, they and other peer brands have produced since its invention in the mid-nineteenth century. Shutting down gas while ramping up electric is a double money losing proposition into the tens to hundreds of billions. Only the wealthiest and most powerful car companies on earth can survive this conversion process, and I look into how this is so. Read more about Converting a Car Company from Making Gasoline to All Electric Vehicles: The Stakes Involved and the Brands Least Likely to Survive as a Result. For those who think that the Indias, Brazils, Southeast Asias, Western Chinas, Central and South Americas, and Western and Southern Africas will go decades still buzzing around in coal rakers while we 30 second mega supercharge with our brand new 2035 Teslas, I have news for you: the Electric Car Revolution is already coming to those parts, and the ORA R1 mini electric car is the kind of vehicle that’ll proliferate like hotcakes there NOW, like the Model 3 is already doing here. ANALYSIS AND OPINION: There have been incidents across the country lately that have become more noticeable and reportable to both news agencies and the police. 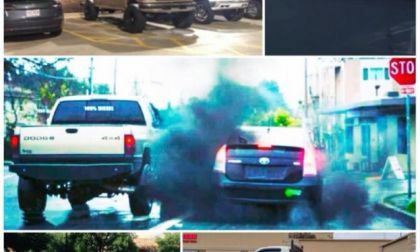 “Coal Rolling” and “ICE-ing” are suppose to be acts of protest against emissions policies but they are really nothing more than acts of cowardliness by ignoramuses. Empower rather than arm yourself by doing these ten things to stop these shameful people. 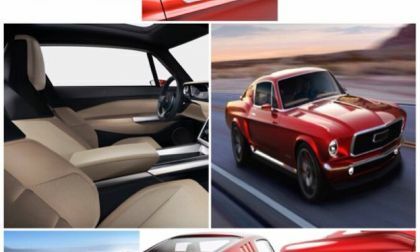 Aviar R67: Even the Russians Want to Make an ALL Electric Mustang that Ford Doesn’t Want to Make or Still Can’t! OPINION AND ANALYSIS: Nobody is taking these Russians seriously about the specs and their one year warranty to their recently proposed Russian Mustang BEV, but I tell you one thing: at least they got a spec sheet. They got renders. They got ideas. They even got a warranty for a car they haven’t built yet. They’re eager for publicity and/or to build. I say, where’s the people who invented the damn car to begin with? 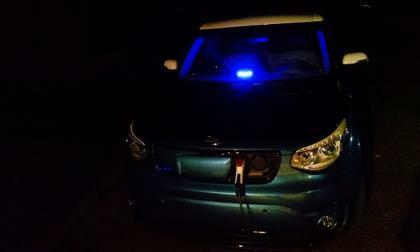 Do they even know what electricity is beyond a cigarette plug in the dash? Read more about Aviar R67: Even the Russians Want to Make an ALL Electric Mustang that Ford Doesn’t Want to Make or Still Can’t! 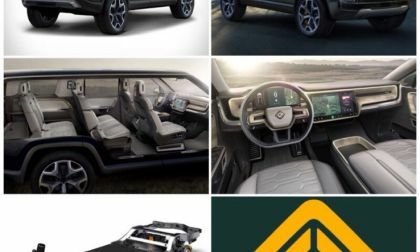 Rivian R1S SUV: This is How the Americans Take on Range Rover SVAutobiography: Get Your Autograph Book Ready, Land Rover! 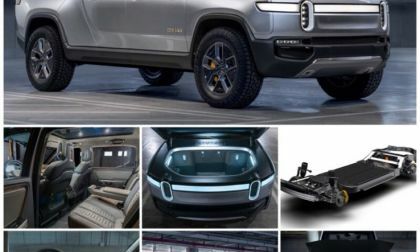 OPINION ANALYSIS: Rivian Automotive, the once Clandestine now Maverick Electric Pickup Truck Maker added another BEV to its portfolio, a full sized three rower SUV called R1S. I’m so glad they made it nice and boxy and conservative and all BEV. All they need to do now is stretch that battery tray and back seat room, bespoke it out, make it LWB, send it upmarket past Bentley and Rolls, and let it sit next to Rover SVAutobiography, to let their brand take off, and let the doe roll in. Read more about Rivian R1S SUV: This is How the Americans Take on Range Rover SVAutobiography: Get Your Autograph Book Ready, Land Rover! The Rivian R1T Suddenly and Impressively Becomes the World’s First All-Electric Pickup Truck. Not Ford. Not Tesla. Unveil Review: Rivian Automotive, the Michigan based startup that for ten years carefully, but secretly planned to find the right vehicle, at the right time, and at the right moment, to launch an all BEV the world hasn’t seen, seemed to find the right recipe to unveil that vehicle NOW, as they launched something that Tesla had expectations of doing first: to launch the first all electric pickup truck in the world. And Rivian did it. Not Ford. Not Tesla. This is a game changer . . .
Read more about The Rivian R1T Suddenly and Impressively Becomes the World’s First All-Electric Pickup Truck. Not Ford. Not Tesla. I find it pathetically sad that we are now in year 6 of the electric car revolution and Ford has yet to come out with not one of their own non-compliance full mass production BEV car. Not one. 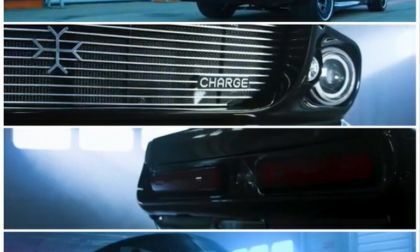 Thank God for startups, because the new British based company called Charge Automotive will make you pay just a little dearly, but you can even have a classic Mustang the way Ford would never have given it to you. 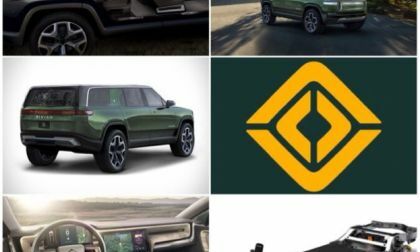 We’re now about a few days away from the launch of Rivian’s new mystery trucks, and instead of debunking myths, conjecture, theories, legends, and rumors, Rivian, purveyor of “electric adventure vehicles” only heightens them and with mystique. 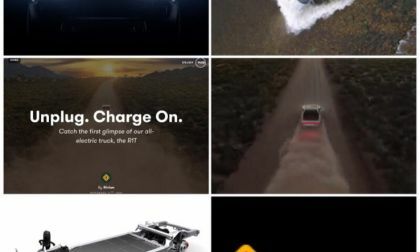 This time Rivian publishes a second teaser video showing their truck wading through 3 feet of water with 3 seconds of footage. One of our fellow readers shared this Yellow Corvette video with TorqueNews. What do you think of the Porsche's new all-electric concept Mission E? Porsche revealed its all-electric Mission E concept with some amazing characteristics and unknown price. 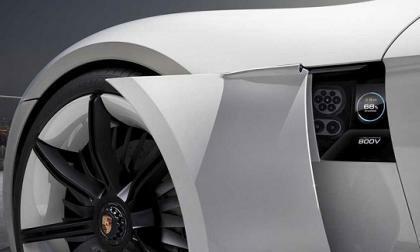 Read more about What do you think of the Porsche's new all-electric concept Mission E? Yes, I was one of those EV naysayers. looking to the long charge, short-drive-range side of the EV equation, until I drove one. 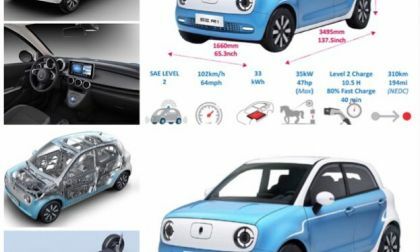 2016 Soul EV presents attainable electric auto innovation. Drive review's an interesting pursuit, and Honda, Acura Division is second to none in providing us with the opportunity to review and report on their latest offerings in an ever-evolving, mostly manufactured in North America line up. 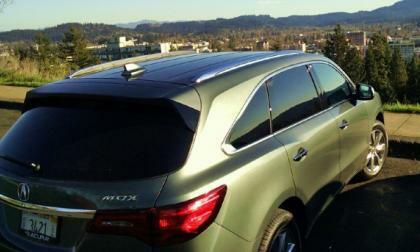 Acura MDX is one of our favorite subjects. 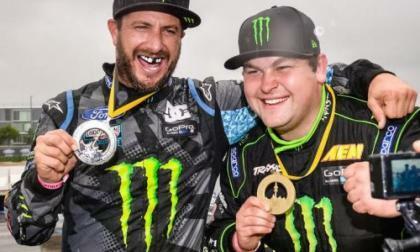 This past weekend brought about the first double header event for the Global RallyCross series as the drivers headed to Munich Germany for the third leg of the XGames series this year – with Liam Doran taking the top spot on Saturday in his brand new Mini GRC car. 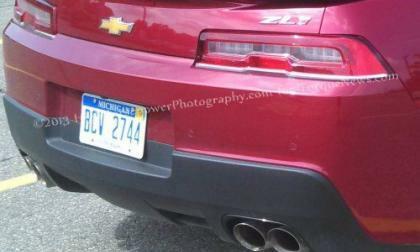 Thanks to the wonders of cell phones, we have a few images of a 2014 Chevrolet Camaro ZL1 Convertible test mule sitting in a parking lot fully exposed – giving us our first good look at the new super-Camaro droptop. 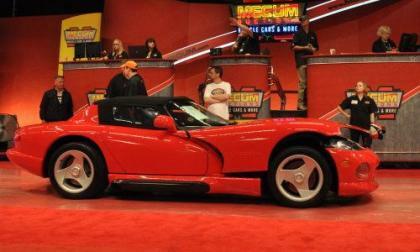 TorqueNews has spent the last two days working through the 2000+ cars of the 2011 Mecum Indy Spring Classic Auction and there is one thing that we’ve learned - this event has something for everyone. 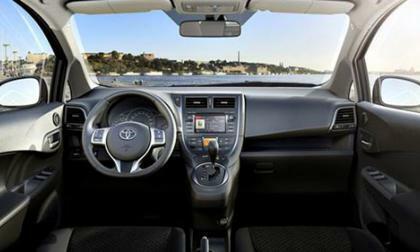 Judging from the images, posted on Toyota's Japanese website, the new Ractis may be a left hand drive. It does not seem surprising for the American and most of the European drivers, but this version of Ractis is for the Japan, where the drivers run their cars on the right side.